By popular demand, Planetary Union Network: The Orville’s Official Fan Podcast is bringing you this exclusive full song only version of Scott Grimes and Leighton Meester’s duet from The Orville episode “Lasting Impressions”. Property of FOX. Any use of this video, or underlying audio, without express written consent is strictly prohibited. The PUNcast is pleased to welcome Scott Grimes to the podcast. Co-hosts Dan, Joe, and Michael chat with Scott about being Lt. Gordon Malloy on The Orville, and the discussion strays into all sorts of parts unknown. 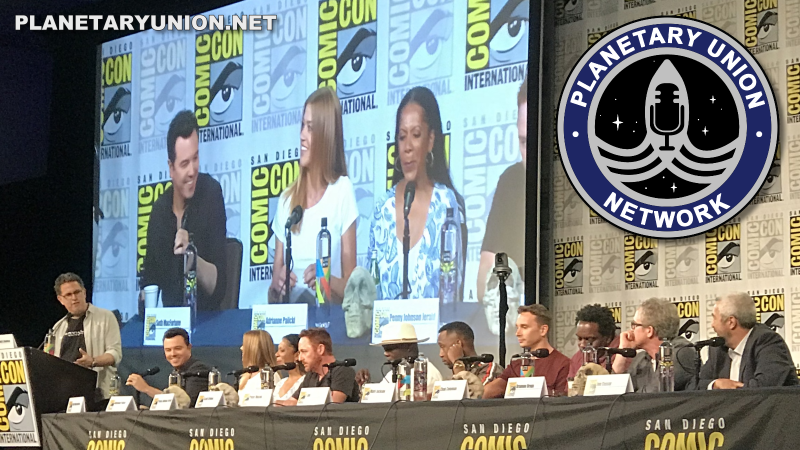 The crew also discusses the episode “New Dimensions” and hint at upcoming The Orville goodness.